So while winter may not quite be over yet, most of us are getting pretty antsy to blow off the dust on our bikes and get out and ride. We’ve put together a list of some of the most important items to check before pulling your bike back onto the pavement. Whether you went through the efforts to winterizeyour motorcyle or not, we’ve got you covered in this short guide on getting your bike ready to hit the streets the minute that old man winter disappears. Change the oil: Whether you changed the oil or not before you parked it for the winter, chances are the existing oil has been in there for close to 3 months or more, so a fresh oil change is always a good idea to make sure everything is in top condition. Stick with the recommended oil weight for your bike and change the filter along with the oil change. If you live in a particularly cold climate, you may consider getting winter grade oil depending on riding temperatures where you live. Tube and lube check: First make a visual inspection of all your fuel, hydraulic, coolant, and oil lines on your bikes. Keep an eye out for cracked or frayed hoses, drips, bulges, or anything irregular looking about any of the lines. If there is anything leaking or that looks amiss, make sure to replace hoses and lines with only OEM motorcycle parts so you know they will fit exact and be up to specs. Check your brake and clutch fluid reservoirs (don’t forget about slave reservoirs) and make sure they are topped off and the fluid is not sludgy and dark. Check your rubber: Some tires loose air over time and chances are, your tires may be a little low. Check to make sure you’re at the right amount of air pressure in each tire and also check the tire for signs of wear (flat spots, metal belts showing in tread, cracking, dry rot, etc.). If your tires are completely flat when you check your bike, look for any foreign objects in the tire such as nail or screw that may have caused the air leak. Clean: There’s probably a bunch of dust, leaves, grime, families of mice, and who knows what else living in and around your bike. Give your bike a good wash with the hose if the weather is cooperative and avoid the tail pipe and electrical component with high water pressure. There are many enginecleaners and solvents to help you get everything sparkly. Give it a good wipe down afterwards and then a light coat of wax on the painted surfaces will not only help protect it, but give it a sparkling shine. Battery: Hopefully you disconnected the battery before parking your bike for the winter or put it on a battery tender. If not, your battery may be dead or worse, frozen and kaput. If the latter is the case, you may need to cowboy up and order a new battery. Coolant: If your coolant hasn’t been flushed for a couple years, now would be a good time to do a coolant flush and top it off. If you don’t want to change the coolant, it’s not a bad idea to check the coolant with a floating ball type antifreeze tester since spring temps can still dip below freezing in many areas. Air filter: if you cleaned/changed it before you parked it for the winter, you should be good to go. If not, clean your filter with a good cleaner/degreaser and filter cleaner or if you have the paper type filter and it’s too dirty to see light through, blow it off with compressed air or replace it with an OEM filter. Drive train: Check sprockets for excessive wear and drive chain/belt for wear/cracks. If your bike is shaft driven, inspect u-joints and lube drive shaft and zerks if possible and check rear gear case fluid. Check your motorcyclechain or belt for proper tension and adjust or replace if necessary. Brake Check: Check brake pads/shoes for excessive wear and check disc/drum for scoring or irregularities. Inspect hardware and calipers for wear or irregularities (bent, broken, or missing parts). Replace brake pads with a good aftermarket brand and any hardware with OEM parts. 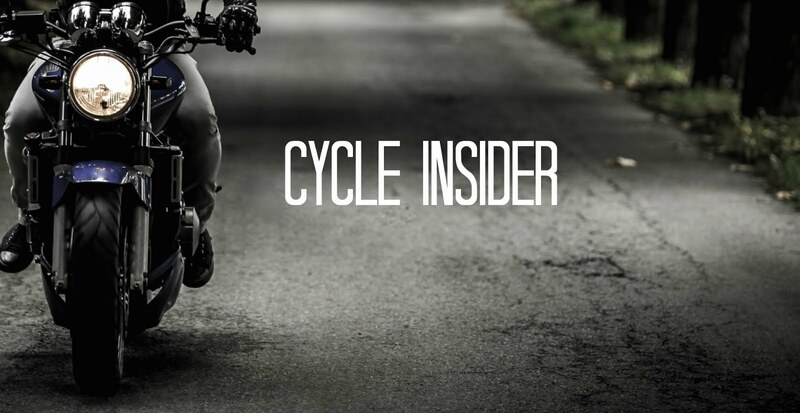 Ride: This is the most important step after you’ve gotten your bike out of hibernation and are ready to hit the road. So go for a ride. Have fun and ride safe! It's good work for the future. Keep going and I wish to success that all of works. It'll be a good solution for the fuel problem and environment friendly. I always love blogs that give complete and specific information about the things to do or check. It is very useful and I don't need to go search for another blog because it is all found here.